The monsoon season is finally sputtering to an end, but as we know from previous years, it will not pass without a bang and some squalls are still in store. These three months of rain are traditionally regarded as the ‘off season’ and do not precipitate tourists into Nepal. Though visitors are often discouraged from visiting at the height of the trans-Himalyan rain shadow, they don't know what they are missing. That information gap is what some in the industry are trying to correct, with a new type of tourism: promote the rain as an attraction itself in the arid but oil-rich sheikhdoms of the Persian Gulf. Or, as some have done in Mustang and Manang, sell the areas where the rains don’t reach. Visitor arrival statistics show that the volume of tourists coming to Nepal decreases in May each year. These numbers stay low until August, picking up again at the end of September. 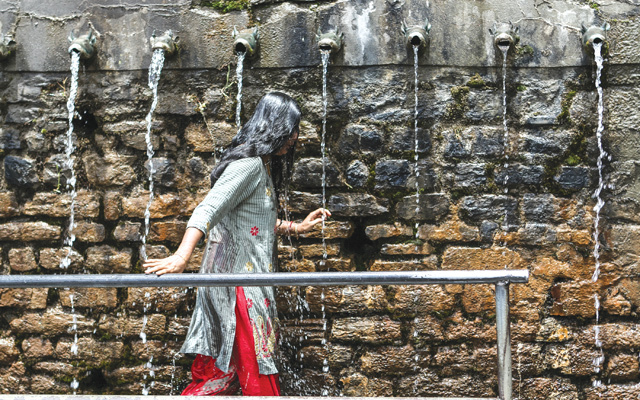 Monsoon tourism is restricted to Indian pilgrims or Tibet-bound tourists making a stopover in Kathmandu. 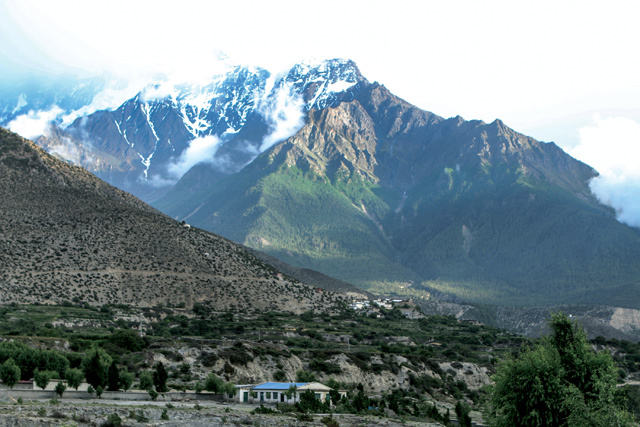 But there is tremendous untapped potential for tourism in the districts behind the Annapurnas because the high mountains stop the monsoon clouds, says Tripple Gurung, owner of Om’s Home in Jomsom. “The government needs to promote the monsoon, it needs to advertise, we need more visitors in the rainy season,” says Gurung, who also runs the Red House Hotel in Kagbeni. Jomsom gets a flood of Indian and Nepali pilgrim traffic going to Muktinath, and there are also high-end trekking groups to Upper Mustang that are ready to pay the extra fees for visiting the restricted area. Hoteliers like Gurung are doing their own promotion, inviting guests staying in Jomsom to also spend a night or two in Kagbeni. The challenge for them is to fill up their hotels during the monsoon slump, when numbers are down 80% from the peak in September-October. “Most of our guests in the monsoon are pilgrims, but even that is erratic because the road to Pokhara is often blocked by landslides,” says Karma Gurung, owner of Hotel Bob Marley in Muktinath where the famous Jamaican reggae singer is rumored to have stayed. Legend has it Jimi Hendrix also visited. 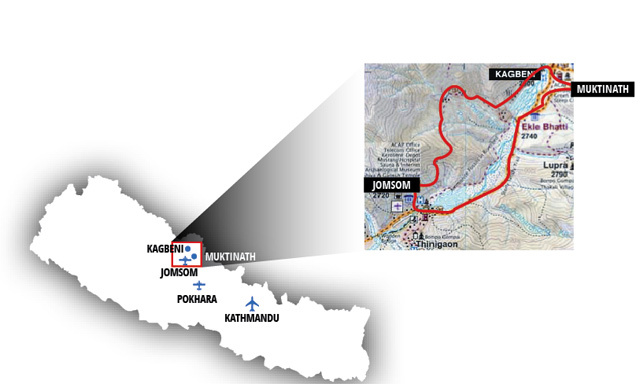 Pilgrims can now ride all the way to Muktinath. From there, visitors are able to catch views of the dramatic transition from sub-tropical jungle to alpine forest and high-altitude desert within a few hours of driving. The Kali Gandaki Gorge is the deepest in the world, with the river flowing between eight-thousanders Mt Dhaulagiri and Mt Annapurna. Says Tripple Gurung: “Mustang is such a unique place, it is blessed compared to other parts of Nepal. It has everything for everyone: pilgrimage, scenery, leisure, adventure. Kathmandu International Mountain Film Festival (KIMFF) is back with 62 films representing 28 countries.